The documentary “From the Sky Down” brings back bad memories for U2. It shows them recording “Achtung Baby” 20 years ago at a time when the band nearly broke up. On a scale of one to ten, Bono says it was “very — very is Irish for 9.” He says they were either great or terrible, and not much in the middle. They did have some fun though, at least some of them did. 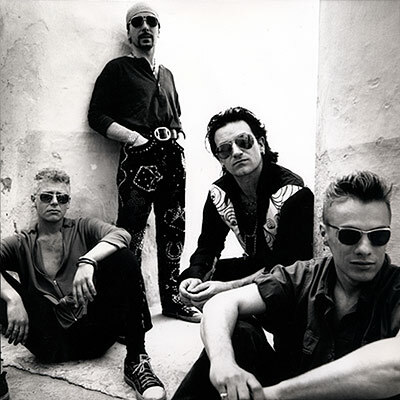 The group dressed in drag for the video of the song “One.” Bono says Larry Mullen “really didn’t like the idea.” He says The Edge took to it “with a perfectionist’s eye.” The Edge says he thinks he looked like his sister. Bono says Adam Clayton ended up looking like the queen and he resembled Barbara Bush. “From The Sky Down” premieres Saturday on Showtime.